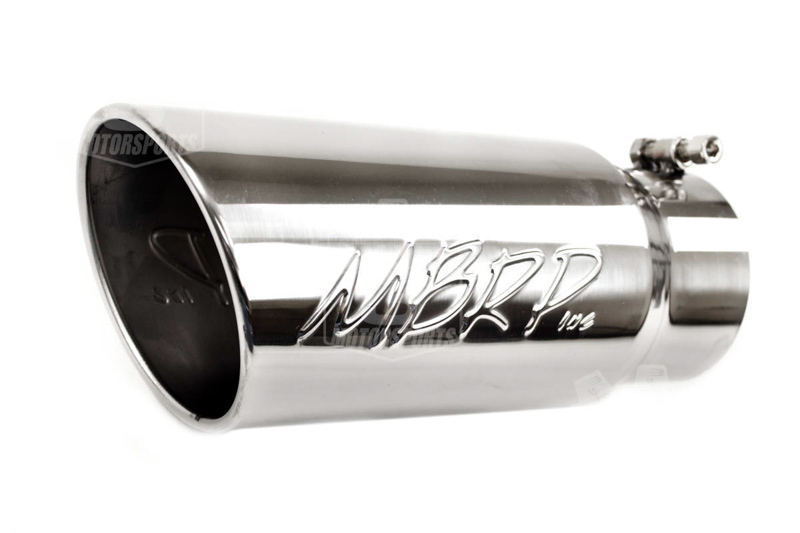 The only way you're going to get your 2011 to 2014 F150 EcoBoost sounding like a big, mean truck, is with a big, mean exhaust from the master craftsman over at MBRP. 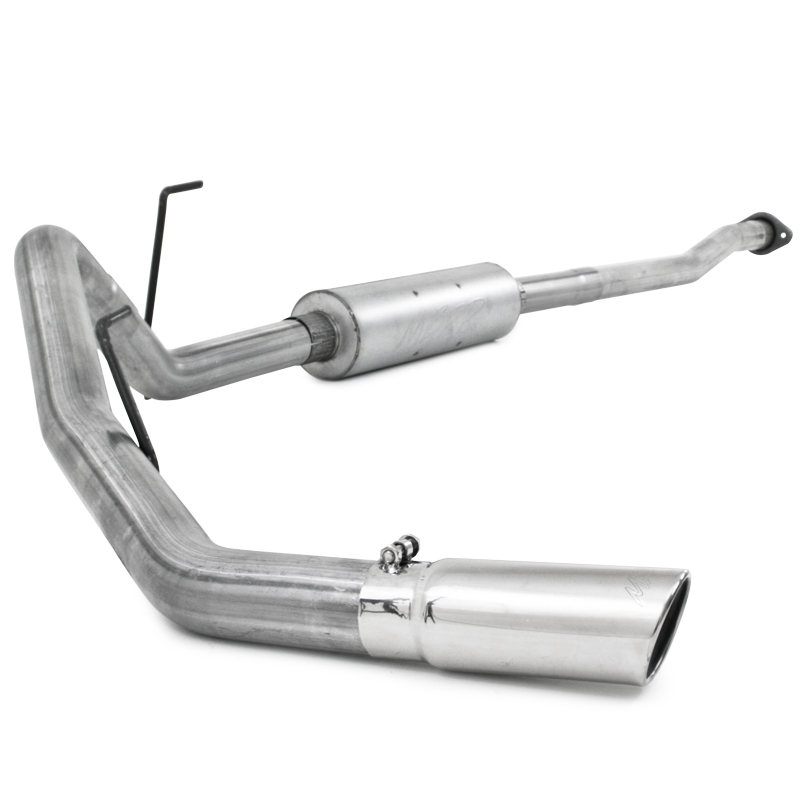 This 4" cat-back exhaust system is part of MBRP's XP-Series of stainless steel exhausts and will give your EcoBoost F150 a big bump in horsepower and torque along with an aggressive new exhaust note that is sure to catch everyone's attention. 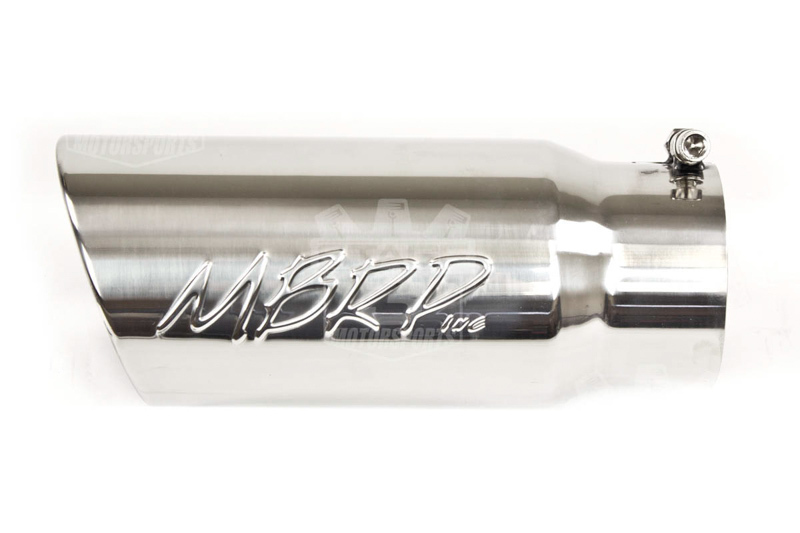 While much larger than your stock cat-back, the MBRP 4" XP-Series attaches to your truck's factory mid-pipe and is a direct bolt-on replacement for your stock cat-back kit that produces much more power and sound. 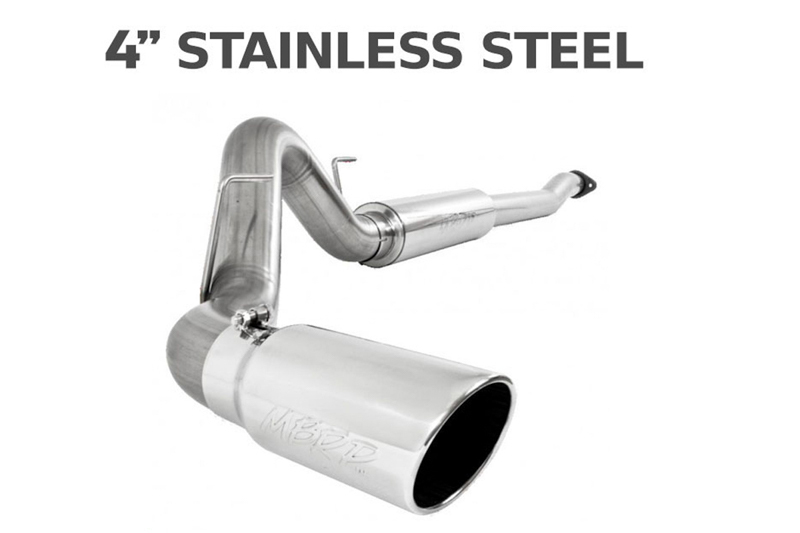 MBRP constructs each of these EcoBoost exhaust systems our of 409 stainless steel to help the kit resist corrosion in a variety of climates. 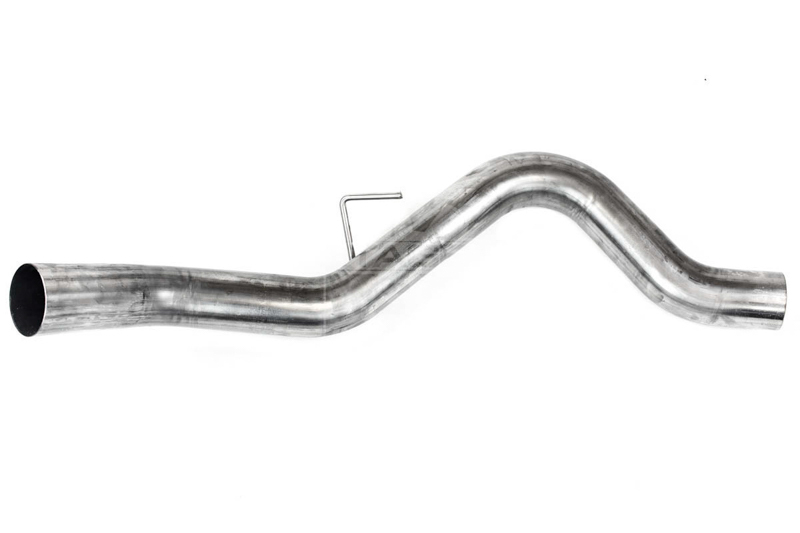 The system's 4" mandrel-bent tubing is paired up with an MBRP straight-through muffler that improves exhaust flow by up to 70% over your stock cat-back kit. 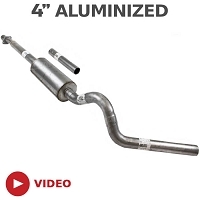 The more efficient exhaust outflow and reduced pressure allow your truck to make excellent power and torque gains, especially when tuned or heavily modified. 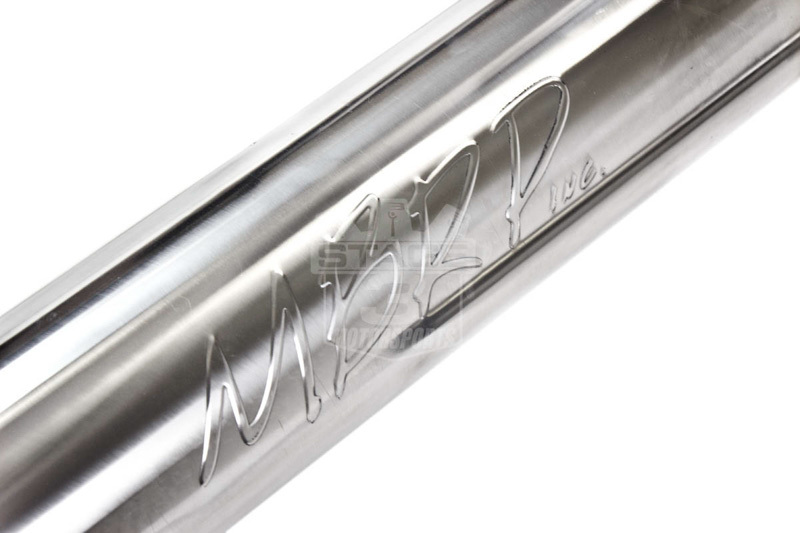 The MBRP cat-back system comes standard with a 4.5" polished tip that exits in the factory location for a more aggressive look than stock. Each kit comes with hardware and instructions for a quick, easy installation. 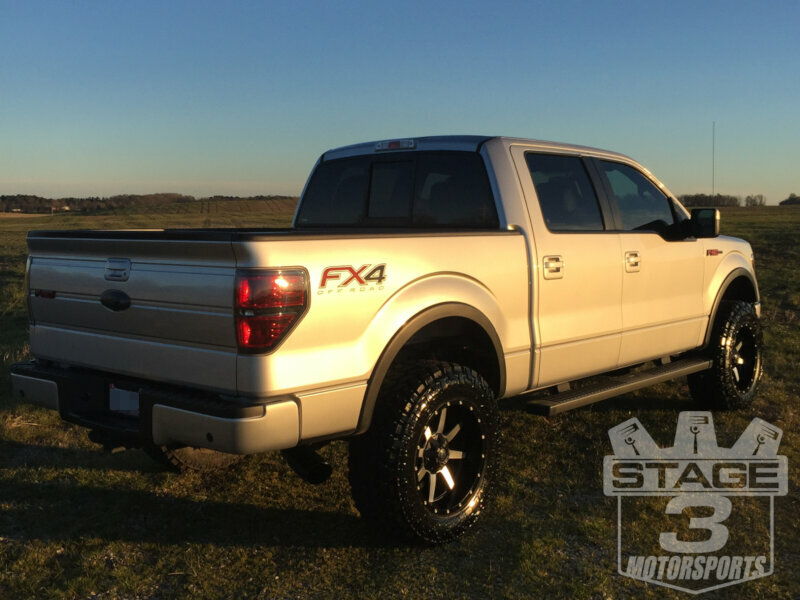 Check out our install guide of this cat-back kit on our 2011 F150 EcoBoost Project Truck! Not only does this product add a more aggressive look, it sounds great as well! Even with it being a v6, I was worried I wouldn't like the sound of it only due to the fact I have only owned v8 trucks, but I was wrong. Before I get in the truck, I stand behind the exhaust on cold start ups and just listen to the turbos spool as the rpms decrease. 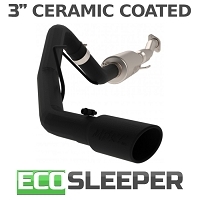 I highly recommend this product to anyone else with an Ecoboost F150. Took not even 30 min to install on a car lift. Very happy with what MBRP has produced for my truck. Very easy to install, fits like a glove. Sounds very deep when you're on the gas and quiet at cruise. I am very pleased with this exhaust. The 5 inch black exhaust tip looks huge and gives the truck a real performance look. Has a great deep tone at start up and low RPMs. Higher RPMs does have a higher pitch, but I love the sound (Sounds a little different in person than in the above sound clips). Installation instructions provided were not very helpful, but CJ Pony Parts has a youtube video that made installation a breeze. Start to finish installation took about an hour on a car lift. (Fitting the pipe between rear leaf springs and spare tire heat shield can be a little tricky) To me, there seems to be a slight drone at cruising speed, but its not loud enough to be a bother to me. Great product from MBRP, and special thanks to Lou at Stage 3 for helping with shipping issues. I will definitely be buying more products from Stage 3. I installed the MBRP 4 stainless 5238 yesterday. It installed fairly easily with the rear up on jack stands. It sounds amazing. Pretty sure I can feel the extra HP in the seat of my truck. two issues installing. first the rear hanger for the tailpipe with the pipe fully inserted into the muffler and the muffler pushed as far toward the cab as possible only penetrated through the rubber hanger 1/4 I felt that was not safe. I ended up cutting 1 1/4 off the muffler side of the tailpipe to allow for a full 1 1/2 penetration through the hanger. 2nd the band clamp did not secure the tailpipe into the muffler. at full clamp the band clamp would allow the pipe to rotate and have an obvious exhaust leak. I removed the spacer in the middle of the clamp which stopped the rotation but not the leak. I had and extra clamp in the kit, due to the 126 WB, but that still did not stop the leak. 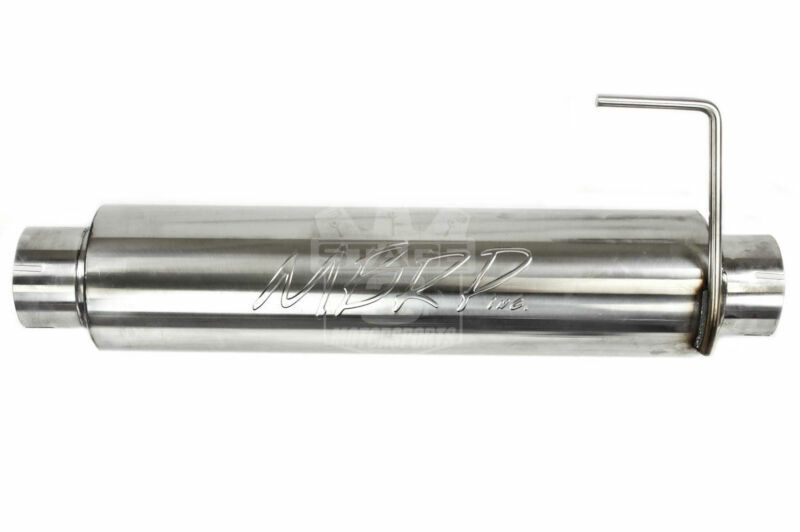 I will purchase some stainless muffler clamps and replace the band clamps. I love the sound, looks great, just two minor issues. Super fast shipping that was free! Install was about two hours and had no problems. Most the install time was removing old exhaust system. Bottom line I was really surprised with increase in performance! Sounds amazing! Quite while idling and and light throttle then comes alive while accelerating. Should have done this sooner. 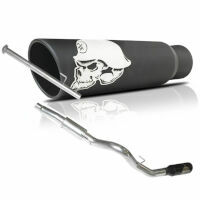 Everyone notices my truck when I roll around with this exhaust. It's not raspy or too loud. Great deep muffle and noticeable gains. I did have to cut the pipe extension to the recommended length since I have a 6.5 ft bed. Highly recommend doing it with a lift for an easier installation but I did it all on my driveway and took about 2 hours simply because some old bolts didn't comply. 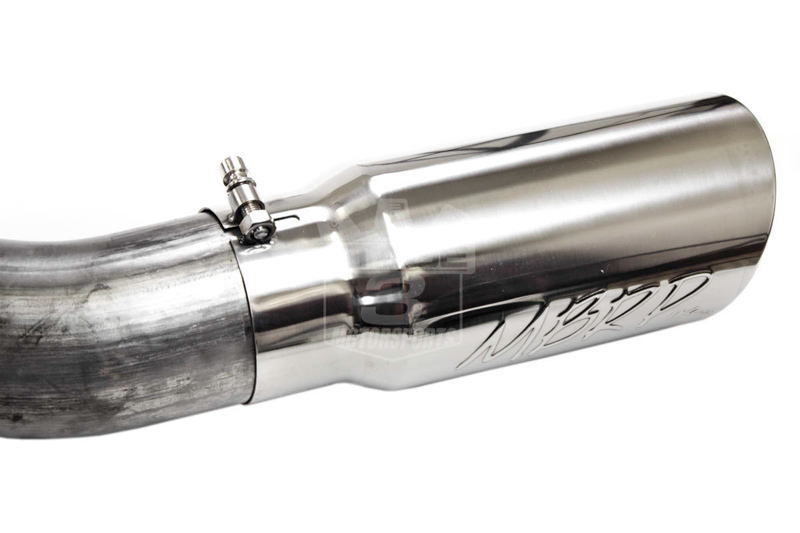 I can't say too much about other exhausts out there but I'm sure you will not be disappointed with this!! Great job MBRP and awesome customer service with stage3!!! instalation took about two hours in my garage with the pick up on jack stands. For the most part it was pretty easy to install, the tail pipe section was hard to get in place. could be because of doing it In the garage with very little room. Its a little too loud for me! If your building a race motor then this is a good one for that. My mpg seams to have dropped a little too. I would not recommend to a friend. Install was pretty straight forward just had issues with rear hanger only about 1/4 inch thru. Ended up having to cut extension piece more as well as tail pipe into muffler end more to get hangers where I like em. Was having issue with pipes slowly slipping out and causing exhaust leaks so I just drilled holes in the hanger rods and installed hairpin clips to keep the pipes from moving. Only in really cold on first startup there are leaks but warm it's fine so I will be upgrading to band clamps soon. Otherwise minor issues looks and sounds great! Just installed this exhaust and the install was quick and straight forward. I've only driven to work since the install and haven't checked for exhaust leaks yet. So far the exhaust sounds good. I'm happy with this purchase as well as the customer service that Stage 3 offers! Extremely happy with this purchase/upgrade. Everything went in just as advertised on website. No issues with hanger being short as some have mentioned. Did job in my drive way by myself and only took me 2.5 hours. Longest part of job was removing old exhaust, which I eventually cut out. Otherwise, very easy one man job. Been running it now for about a week and the sound is awesome. In addition, this upgrade by itself has result in 3 mpg improvement in fuel economy (without a system tune). 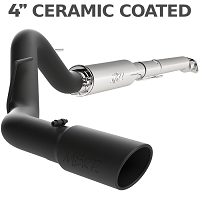 Honestly I am very disappointed with the mbrp 4” system. Coming from a V8 5.4l F-150 with the mbrp 3” system I had high hopes for this knowing it would be of quality and a great fitment with no issues. This 4” however has been nothing but a headache with MAJOR fitment issues. No matter how you adjust the entire system the rear hanger barely sits in its position when mounted. Minor issue so far, hopefully it doesn’t turn into a major one down the road. (If I keep this exhaust on that long) The biggest issue (other than the crappy sound) is that the over axle piping the way it is designed/bent it interferes with the passenger leaf spring to where at minimal droop or full axle drop while on a lift the leaf spring hits the exhaust in a very bad and eventually will be a damaging way. I’ve tried every way to adjust the rear over axle pipe and make sure it doesn’t hit and it’s not possible it hits every way. Only way it was semi possible was to have the exhaust angled so far pointed down in such a hideous manor you’d never pull the truck outta the garage to drive it. If I wouldn’t of thrown my stock exhaust away I wouldn’t have this system on my truck. My suggestion is to call around and actually speak to “experts” other than clicking buttons on the internet and watching crappy sound quality YouTube videos. When I actually talked to someone of knowledge they said they would NEVER recommend the 4” system to anyone with stock turbos or someone who isn’t planning on some serious turbo upgrades. will this fit the 2011 crew cab? with a 5.5' bed? 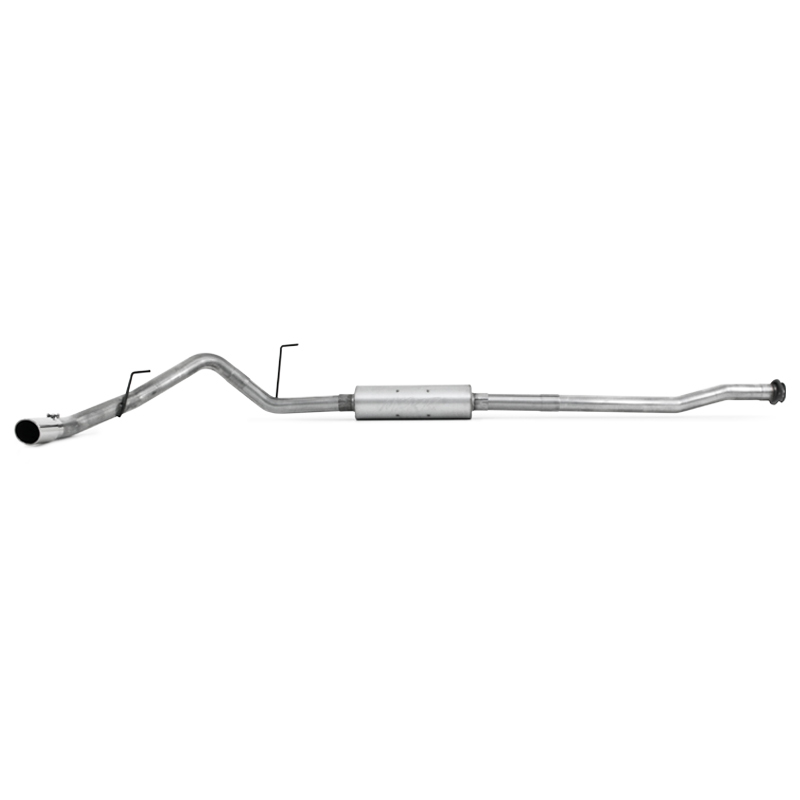 This MBRP EcoBoost 3.5L V6 4" Single Exit Cat Back Exhaust is a direct fit to the 2011-2013 Ford F150 EcoBoost Crew Cab 5.5 foot bed. Was this answer helpful? 17 of 17 Found Helpful. What is the horse power increase with this direct bolt on? Alone, you might see anywhere from 5-10 horsepower and 10-15 lb-ft of torque at the crank, depending on fuel octane. Custom tuning will naturally get you much, much more. Was this answer helpful? 8 of 8 Found Helpful. 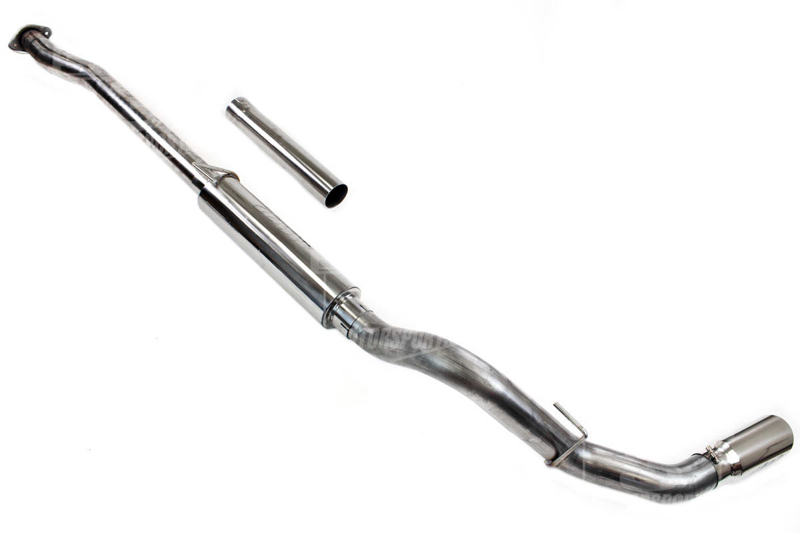 Does this exhaust require a tune? 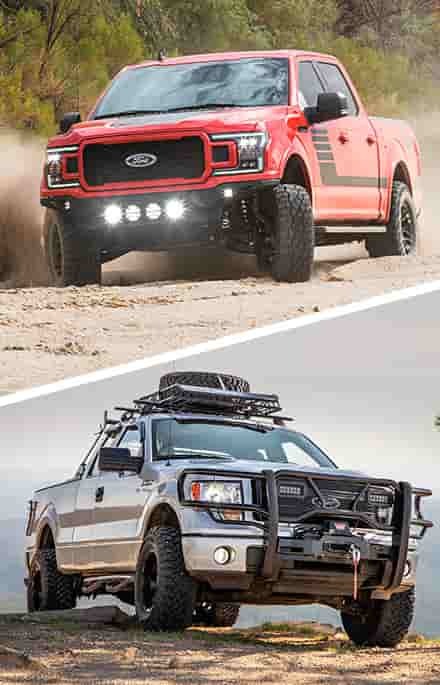 Tuning is not required for this cat-back or any other F150 EcoBoost cat-back system. Out of the afe 4" cat back, the mbrp 4", and the SW cat back, which has a better sound? A lot of the sound clips sound very similar. I am looking for something the brings sound of the turbo, exhaust, and hopefully help with mpg. 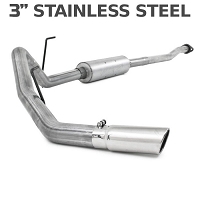 I am trying to figure out which exhaust fits my needs the best and would like your guys honest opinion. I just bought a 2012 eco boost and need advice. The real problem is that exhaust note is such a subjective taste that's it's tough to say without knowing what tone or sound you specifically like. However, out of the three you listed, I like the MBRP kit the most. It still has some bite without being overly loud or droney at cruising. The aFe kit has some high-pitched stuff and a tad too much drone for my liking. 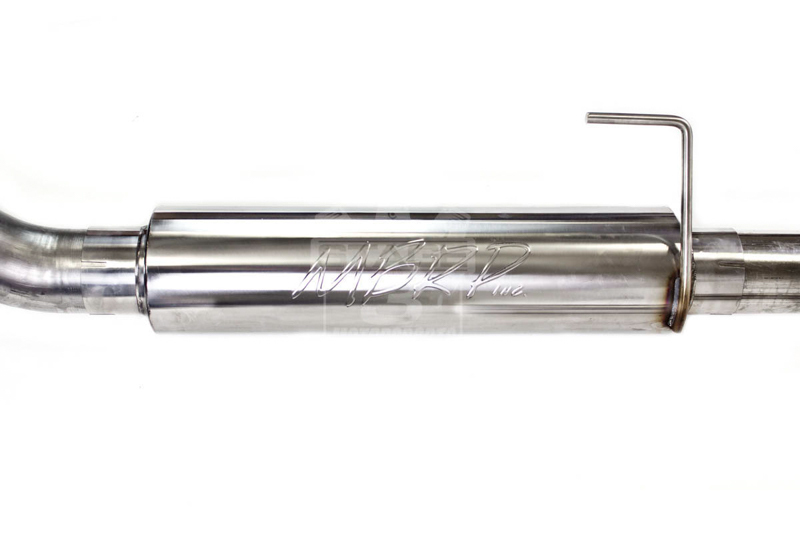 The Stainless Works kit sounds pretty good, but I'm not the biggest fan of their tip design. 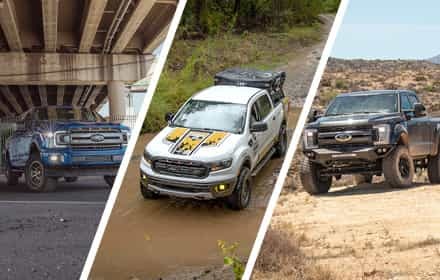 MPG effects of any of these kits will be pretty minimal, so your better bet would be to find the kit that sounds good to you, would look on your truck, and fits your budget. is this or any of the other MBRP single exit kits compatible with the 157" wheelbase (crew cab 6.5' bed) or would it need to be modified? 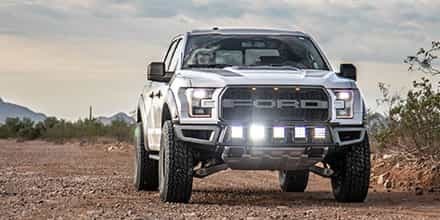 This kit actually comes with piping that makes it compatible with all of the F150 wheelbases. 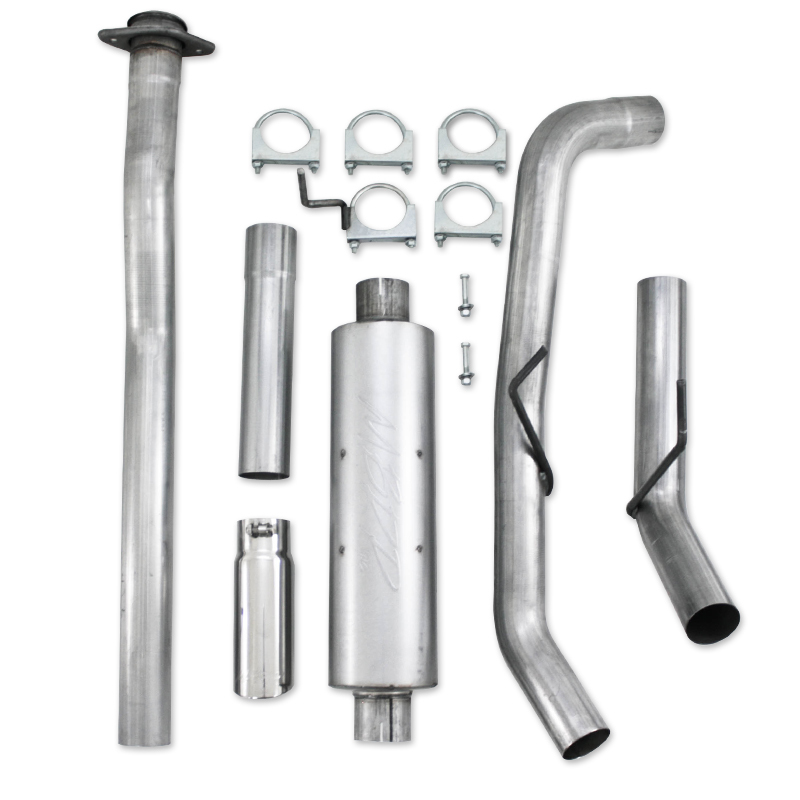 For truck's with 157" wheelbases, you would cut down the included extension pipe by around 17" in order to get the kit to fit on your F150. I am looking at this and AFE's 4" cat back. Any opinion as to which is a better system? Do they both do away with the resonator? They both seem very similar. They are fairly similar, though by all accounts the aFe kit is a bit louder than the MBRP kit, though it does have a bit more drone and rasp. The MBRP kit has a bit of drone, but its sound stays pretty clean. Will this exhaust void my factory warranty? Neither this cat-back, nor any other cat-back, should have any effect on your warranty. That being said, all warranty decisions are up to individual dealerships, and it's best to talk to your service advisor directly about warranty issues. 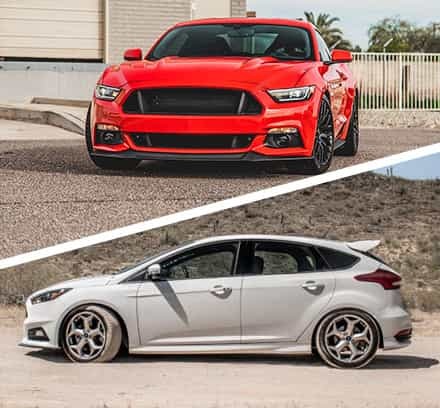 Horsepower and torque gains will be extremely mild. 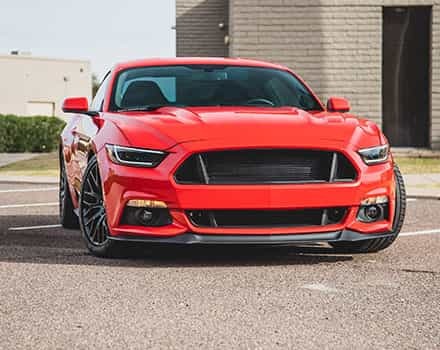 The kit may get you 5-10 horsepower and 10-12lb-ft of torque at the crank using stock tuning, but it should really only be considered a sound and aesthetic modification. 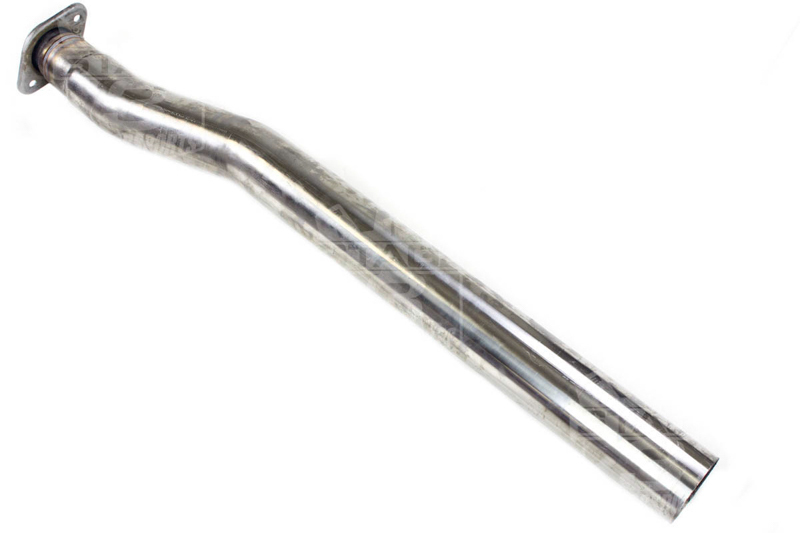 The kit does not come standard with a black tip, however, one can be swapped in, if need be. You will need to call us directly at 1-877-578-2433 to put in a custom order, however. 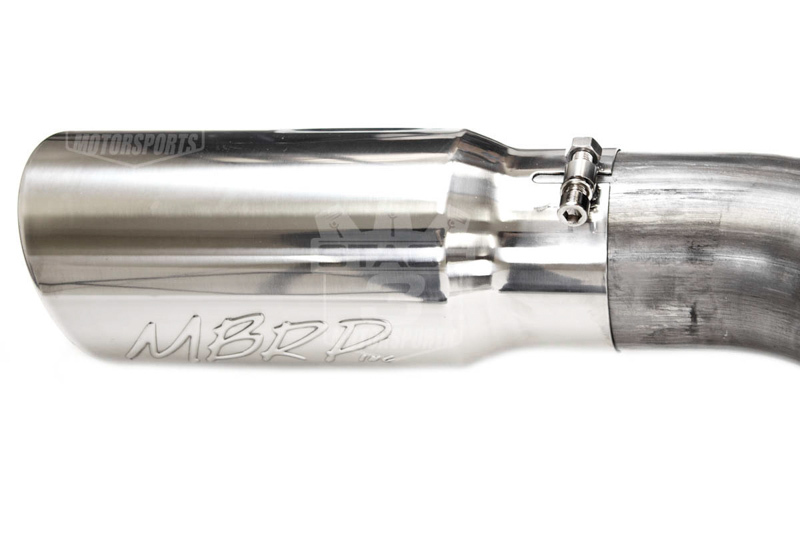 does the mbrp exhaust have to be cut to fit the 126 wb tremor? Yep. 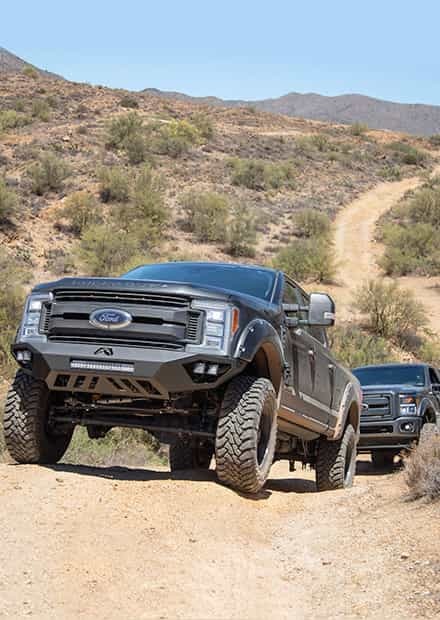 Cutting is required to fit the 126" wheelbases F150s and Tremor trucks.